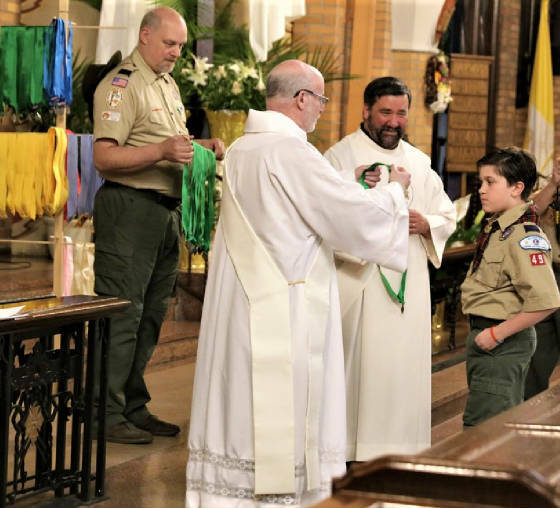 Catholic Scout Religious Emblems are presented at a Diocese of Brooklyn annual event called a Convocation. 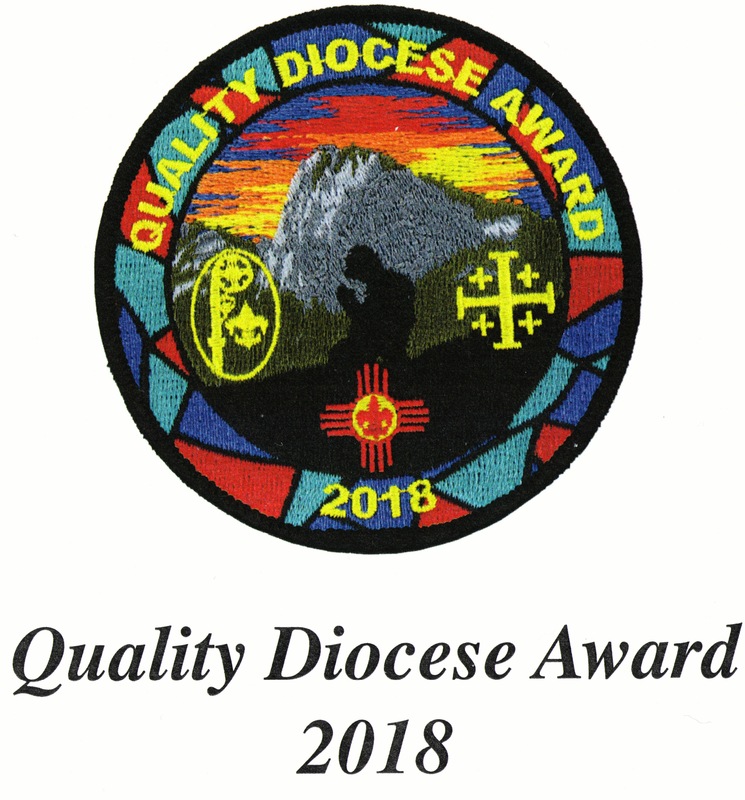 Each Scout who has earned a Catholic Faith Religious Emblem is invited to the Convocation to be publically recognized for completing all the requirements for a given award. 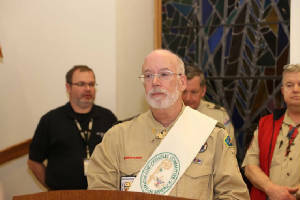 Awards are presented before an audience of parents, family members, unit members and clergy and emblem counselors. 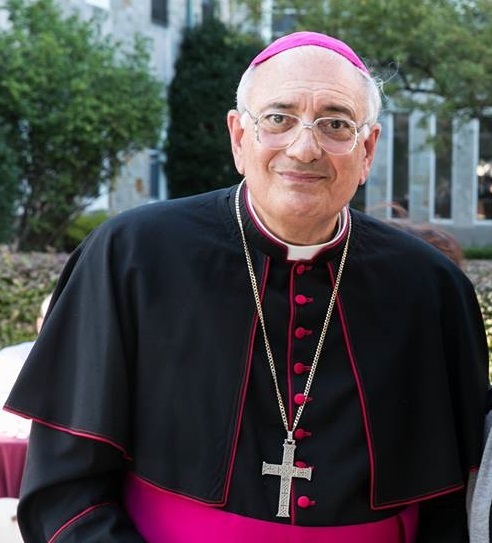 Thanks to our 2019 Convocation host - Rev. 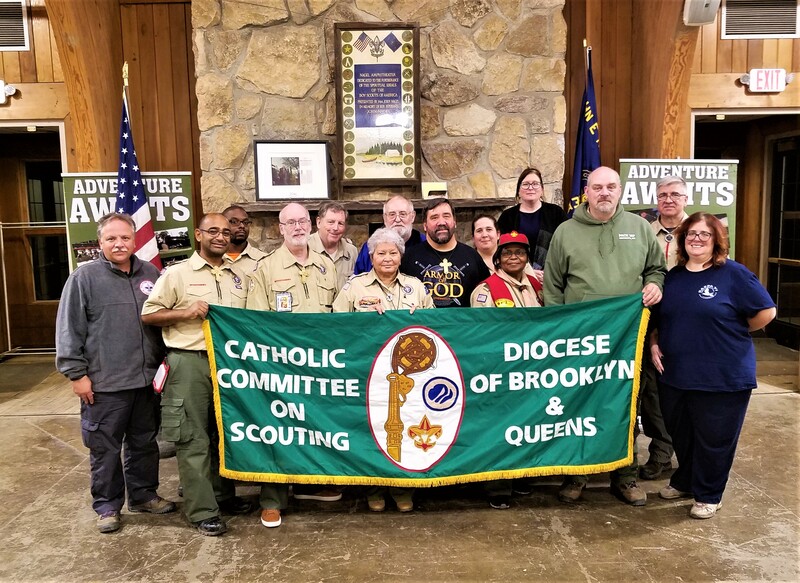 Edward M. Kachurka, KCHS, Pastor Mary's Nativity/ Saint Ann Parish, Queens, N.Y.
Pictures below are from last year's retreat in November 2018, More posted in the Retreat Gallery. 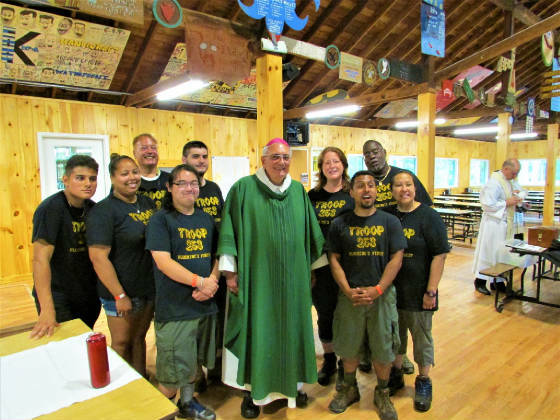 Bishop Nicholas DiMarzio celebrated Mass with the Staff, Leaders and Campers at Ten Mile River Scout Camps on Tuesday, July 17, 2018. 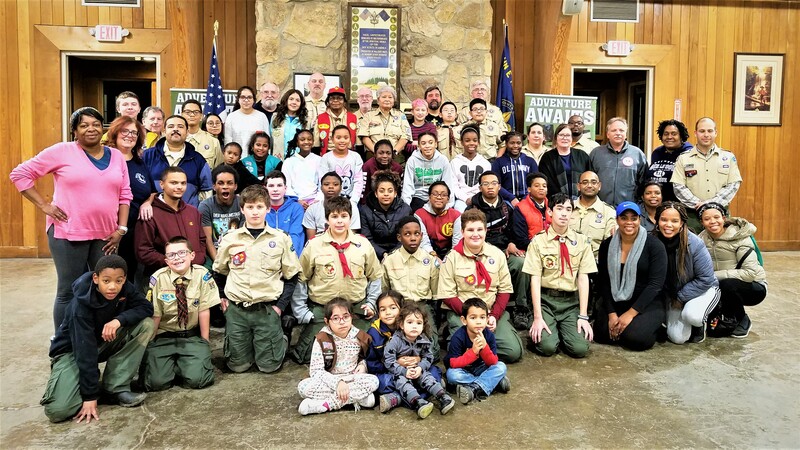 NET TV covered the event and the reporters story and video can be seen on Currents at this link: https://netny.tv/episodes/currents/strengthening-life-skills-faith-at-boy-scout-camp/ Other photos are posted on the page listed on the toolbar to the left. 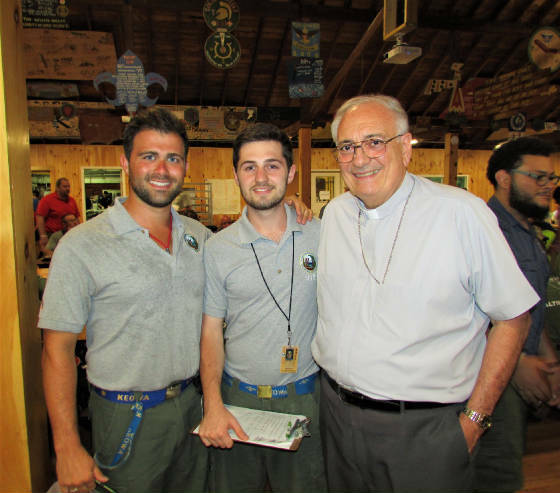 The long-awaited thorough revision of the Pope Pius XII religious emblem program is finally available to the Catholic Scouting community! (1) Download from the NCCS Literature Online Order form on the NCCS website (About Us>Order Forms and Literature>NCCS Literature Online Order Link). Participants can download a copy for $3.00. (2) Order a hard-copy via the same online form. NCCS will provide a printed copy via mail for $10.00. 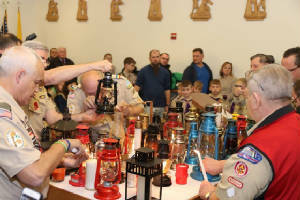 (3) Purchase a copy from the BSA Supply Division or official Scout Shops. 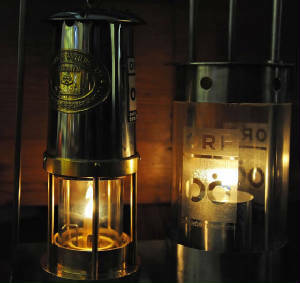 The availability and cost are not yet determined. 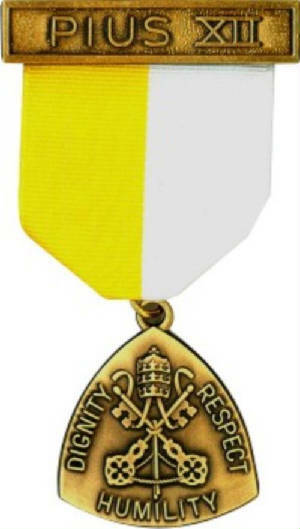 The new Pope Pius XII Facilitator’s Manual (2016 Edition) is available ONLY via the NCCS Literature Online Order form. Downloaded copies are $3.00 and printed copies are $10.00. Use of the new manuals is highly encouraged. 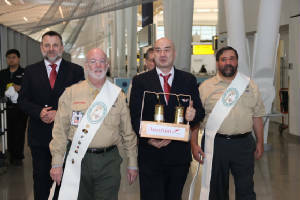 We recognize that some participants may have already started using the 2002 version and they should finish using that version. should use the new manual. No exceptions will be granted. 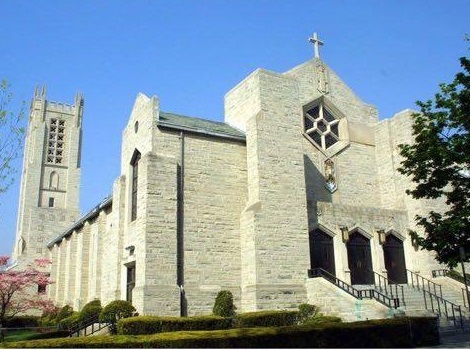 Most Reverend Nicholas DiMarzio, Ph.D, D.D. El Caribe, Strickland Avenue, Brooklyn N.Y.
Christopher Coscia, CEO, Theodore Roosevelt Council, B.S.A. 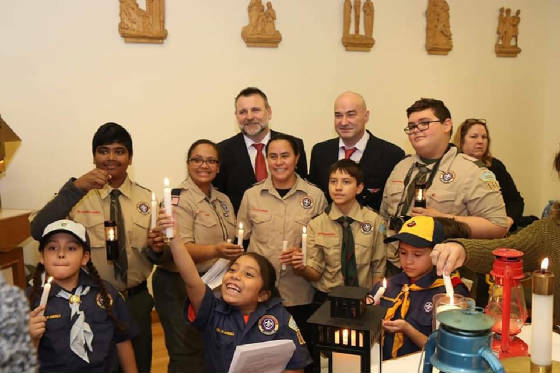 The International Catholic Conference of Scouting provides an opportunity for its members to meet together as friends in the Catholic Church. 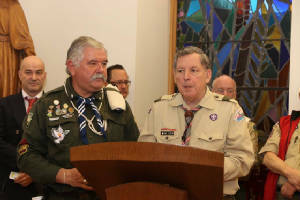 It links the Catholic Church and the Scouting Movement all over the world. 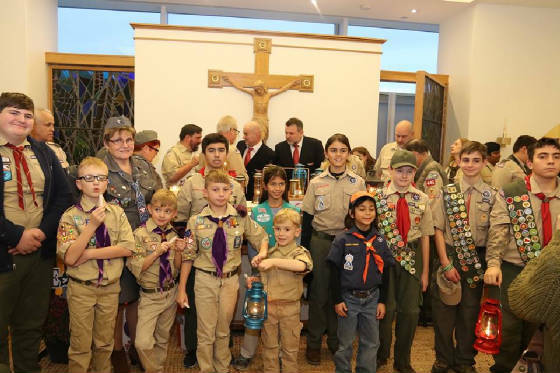 It contributes to the complete education of young people through Scouting from the perspective of the Catholic faith. 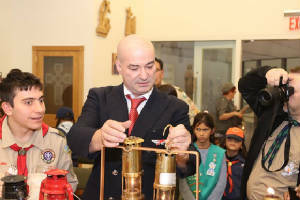 It develops and enhances the spiritual dimension of Scouting in the World Scout Movement. 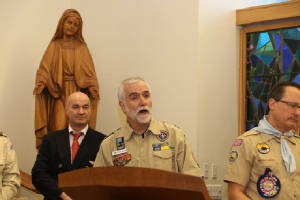 The Pope appoints priests to work with the International Catholic Conference of Scouting as ecclesiastical assistants (chaplains). 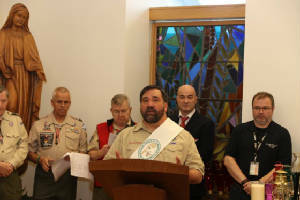 This recognition activity is an ongoing special project of the International Committee of the National Catholic Committee on Scouting (USA). 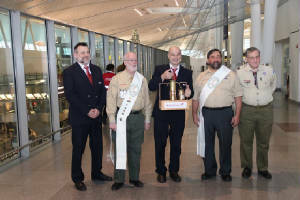 Proceeds will further the work of the International Catholic Conference of Scouting and help enable representation by NCCS chaplains at ICCS meetings and NCCS chaplain support at international scouting events. 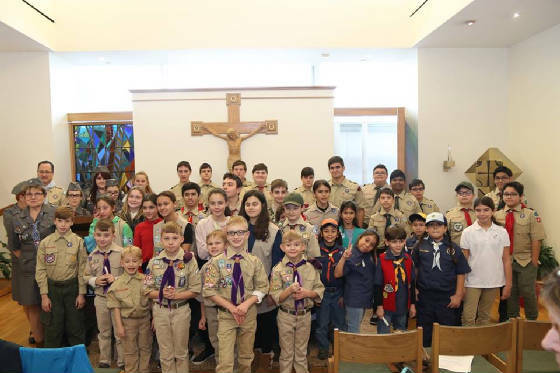 All youth and adults—Scouts or non-Scouts, Catholic or non-Catholic, male or female—are welcome to participate in the Religious Activity Programs promoted by the National Catholic Committee on Scouting. 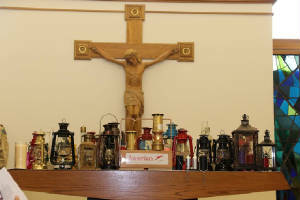 These activities include the Rosary Series, the Footsteps of American Saints, the International Catholic Awareness Award, and the Good Turn Project. 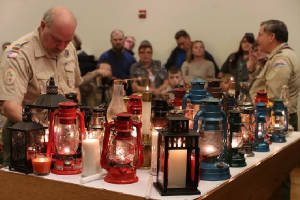 The activities may be used by families, schools, or any Girl Scout, Boy Scout, Cub Scout, American Heritage Girl, Campfire or Venturer. The youth and adults must perform the requirements for their grade level to complete this activity. Click on the program link above related to the grade level of the youth to see the detailed requirements. For a printable flier click here. 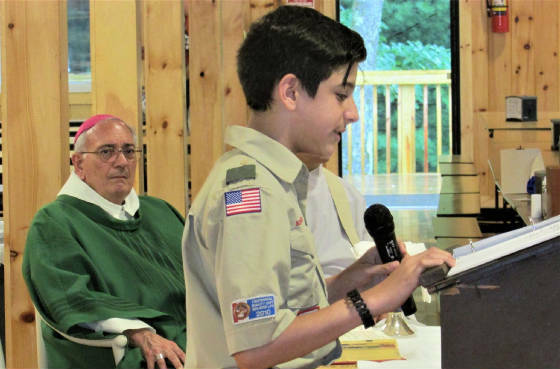 After completing the requirements, a parent or scout leader will complete the NCCS Order Form and mail it along with the applicable fee to the NCCS. The answers to the questions do not need to be forwarded when ordering the patch. 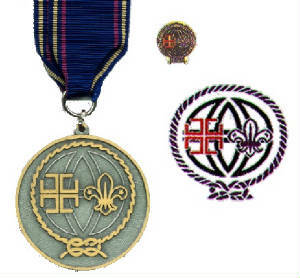 The Pins, Medallions, and Patches are to be presented to those who earned them and can be presented in a formal Awards Mass, Scout meeting, by family members, etc. The key is to make the presentation special, so the youth understand why they have earned this patch. Also, the presentation should be done in a timely manner so the youth is recognized shortly after completing the activity. Please submit your orders using the Online NCCS Order Form. 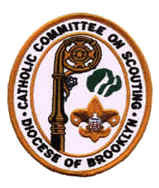 This website is a social media site of the Catholic Committee on Scouting of the Diocese of Brooklyn. 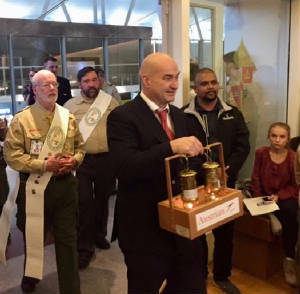 The views and information shared on this site do not have the official approval of the Girl Scout Council of Greater New York, or the Greater N.Y. 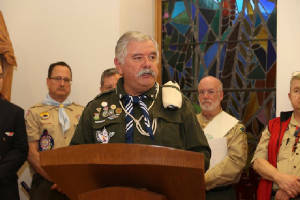 Councils of the Boy Scouts of America. 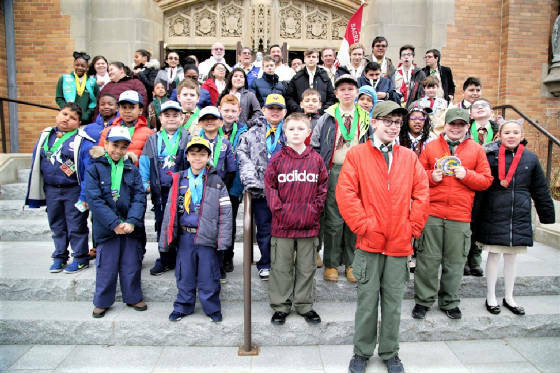 This website is linked to the National Catholic Committee on Scouting web sites of the BSA and National Federation of Catholic Youth Ministry, Inc.